The sounds are superb: no duds at all that we can see. From driving kicks to crispy snares, metallic cymbals with just a hint of 12-bit fizz to them through to some of the neatest electro-toms we’ve heard since – well, since 1986, the RX5 hits the spot. Plus there’s a genuinely useful complement of percussion sounds: clap (more of a smack, really), cowbell, a very perky tambourine, and even a shaker, to get the groove moving. The RX5 is a true flagship machine: a thick powerful sound with tons of punch and bags of character. If you want to inject some Eighties in your tracks, or if you just want to tap into that 12-bit sound, this is for you. I’ve owned an RX7 for awhile and I love it, but I don’t really use it that much because it’s kind of a hassle. This for me is a great way to use some of those sounds in a much more convenient format. The samples sound great (believe me, I tried to sample my own and didn’t come close). The built in compressor is super useful and a big time saver for me. My favorite part are the reversed samples. Sure you can reverse your own sounds, but the way the original machine does it, there is a certain sound to it. My only gripe is that I don’t think they sampled every sound on the machine (at least I know my RX7 has more sounds than this and they are very similar machines). But they do have all of the most important sounds here. 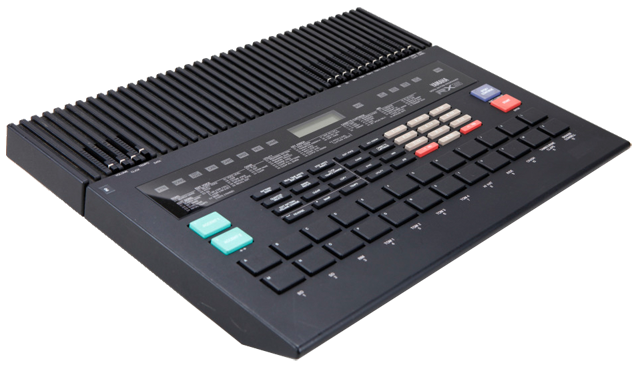 This Drum machine is very much like the original. I’m loving the sounds on this. Sounds Just like the real deal. Love IT! I love Sisters Of Mercy where this drum-machine was used. Interface is great and simple. You can add some effects to make it bigger and tighter. 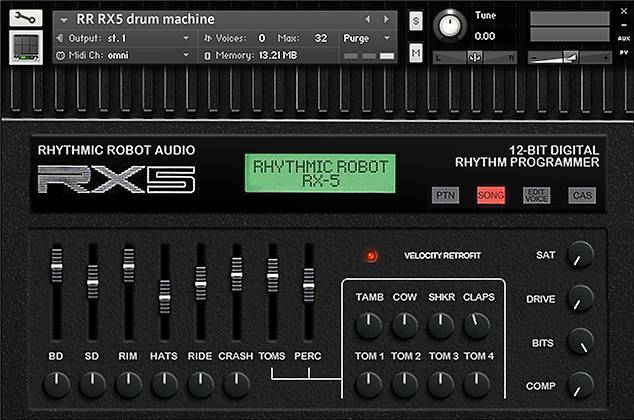 I love this drum machine. The tom’s are beautiful, and with the saturation and compressor dialled right up, they just sound massive. Solid kick and snare sounds too, but for me, it’s the tom sounds that are what’s special here.